Earlier this week I had the great pleasure of chairing a panel discussion at the CharityComms Special Interest Group for internal communictors. This fantastic group of people with responsibility for IC in the not-for-profit world comes together quarterly to compare notes, share experiences and learn from each other. This month our speakers came from other sectors, so that we could learn from different perspectives. With speakers from the public sector, the nuclear industry and the gaming industry, there was plenty of food for thought. 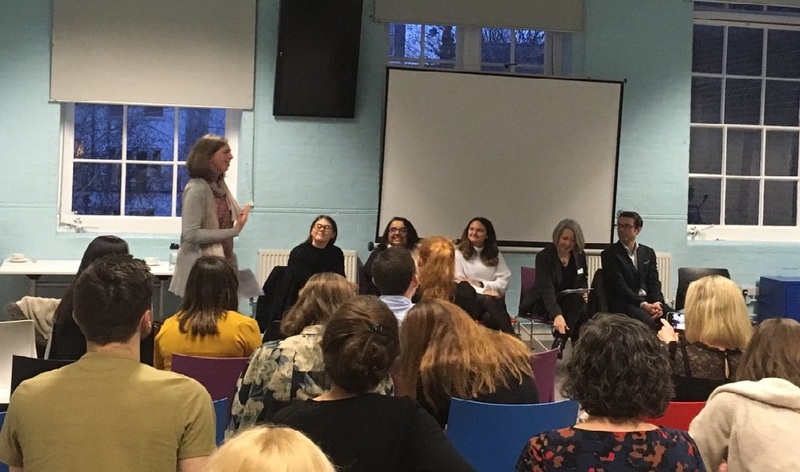 After a short presentation from each speaker about a key aspect of internal comms in their world, there were lots of questions from the floor. With questions covering everything from how to handle intenral comms in times of crisis to tips for engaging senior leaders and supporting line managers, there was something for everyone. In times of change, it’s important to help your people understand the ‘why’ of change, as well as the ‘what’. When the public want to watch drama on their laptop on the train instead of crowding round a small box in the corner of the living room at home, internal comms has to help BBC employees understand that’s why new products are being introduced. In the same way, if you’re a charity that provides services to people with disabilities who now want that support in their own homes, not on your premises, your employees need to understand why you’re closing the rehab centre they’ve worked in for 20 years. Understanding the reality of daily working life for your audiences is key to successful communication with them. If you have betting shop employees who are a point of contact for your customers in their community, you need to know how they feel about a recent company merger before you talk to them about a new business development. Listen to what your employees are saying about life on your charity shop floor and support them through change that impacts on what is important to them. It may not seem important to you that they have to process stock donations in a slightly different way, but if they feel you don’t understand that the new process impacts on space for their tea break, they may pass on their frustration to your customers. As internal communicators, we have a responsibility to ask the right questions in the right way in order to get the best outcomes for our organisations. This isn’t always comfortable, if we are challenging the norm. But if the aim is to become one of the top airports in the world, as an internal communicator you need to spend time helping your baggage handlers to understand how their work contributes to overall success. Spending your time producing posters for social events is not going to make much difference to the airport’s world standing. Know where your expertise can add value to the organisation’s objectives and ask the questions that will lead to effective communication in support of the goals. A good place to start is to check what a project manager is hoping to achieve from a communication, not just produce something without questioning its purpose. That was the biggest takeaway message from the afternoon. People are people. Stories are stories. And you need to support and empower your employees to tell their own stories in an authentic way, whatever your industry.